Serving as an intern in Project China has two main purposes: to have an active, valuable function in disciple-making ministry, and to pursue a greater understanding of church-planting missions. Service and study. We highly recommend an internship such as this to prepare for full-time missionary work. Couples will need to raise between $2,500-$3,000 per month. Singles can expect to raise $1,500-$2,000 per month. Internship durations can vary, we recommend at least 6 weeks to 6 months. Speak with us regarding the timing of your internship. 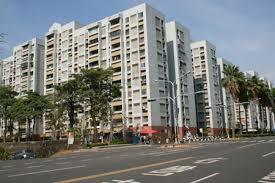 There are always a number of apartment buildings available for rent. We’ll be sure to find you something before you arrive. Please send an email to walzinchina@gmail.com to request applications.